Ag Photographic is a leader in specialist analogue photographic materials and equipment. We supply a very wide range of film, paper, photochemistry and quality inkjet papers, together with darkroom equipment, archiving and portfolio products and various accessories. All at the best possible prices. We keep substantial stocks of the latest production supplied direct to us from the manufacturers and through their official supply channels. Most importantly, we are experts in our field - we know our products inside out and, as we incorporate a full force photographic processing lab on our site, we believe our knowledge is superior to any competitor. See our sister site www.ag-photolab.co.uk for all your processing and printing. Founder of Ag PHOTOTGRAPHIC and Ag PHOTO LAB, and a total photography enthusiast. Day to day management of the business is Matthew's responsibility together with long term growth strategy. "My aim with Ag Photo Lab, has been to make photographic services, including the processing of film, digital photographic printing, film printing and scanning, as easy as possible and as affordable as possible. But, whilst affordable, to ensure we deliver the very best possible quality, and that this quality is consistent, roll to roll, print to print, order to order. This is critical, only possible by employing the best and most experienced people in the business, operating within strict parameters and using the best quality materials and equipment." 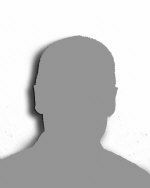 Nick is the senior lab technician, with 25 year's experience in photo processing and finishing. Nick started his career in the photo processing industry in the darkrooms of Quadrant in Bromsgrove, moving to Peter Gaffney's in Birmingham in 2000. 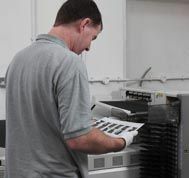 Nick's principle role is ensuring quality standards are maintained in all areas, especially consistentcy in colour balancing of scanned film and prints. It's hard to estimate, but we have done a rough calculation and believe that Nick has balanced by eye around 10 million photographs during his career, possibly more! In his spare time Nick enjoys cycling and supporting Aston Villa football club. Dave is an experienced photographer and darkroom worker and is also super organised, efficient and expedites lab orders, processing and ensures top quality control. With a first class degree in photography, Dave has a keen interest in a wide variety of photographic genre and having exhibited his own work understands the needs and demands of our student, educational and Fine Art customers. 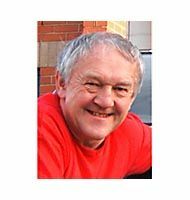 Peter's vast experience, stretching over 45 years in the photographic processing industry, is a huge asset to Ag Photo Lab. 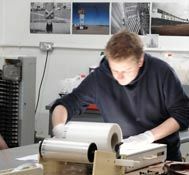 Overseeing quality in the lab generally, Peter's main role is in the processing of all E6 transparency films - a specialist service, but much in demand. Peter's father started his business as a full time professional photographer in 1946 specialising in weddings, portraits and social photography, always processing his own work. Peter began working in the business in the early 60's when they became the first photographers in Birmingham to shoot weddings in colour - by the 1980's they were shooting over 300 weddings a year, but also processing for other photographers. Peter starter the Metro Colour Lab mail order service in 1980's. A native of Australia, Justin has a passionate interest in photography and is very familiar with all aspects of materials and camera equipment. Overseeing day to day dispatch of orders and customer service Justin is on hand to assist customers in any aspect of their requirements and orders. A true camera enthusiast, Steve's role is ensuring timely dispatch of our goods and also lab orders, communicating with customers and is always helpful when a customer has a camera related query! Steve enjoys collecting cameras in is spare time. A fully qualified accountant, James is our financial controller, keeps the company in check when it comes to money matters and has developed a very full understanding of the photographic industry. James is also involved in plotting longer term strategy for the company, forecasting, and ensuring management figures are always available.